lly when you have it in Bali! Doesn’t it sound like a brilliant way to start your thrilling day in the Island of Paradise? While you can find numerous awesome brunch places across Bali, be excited, because I am revealing our top picks that you can use as an ultimate guide! This is so on top of my list! Sisterfields has an amazing selection of brunch menu, not to mention that the ambience is so summer-themed and the service is excellent! Starting your day with their Pulled Pork Charcoal Roll (Rp. 70.000,-) is always a good idea. Definitely worth coming back to. So much love for the interior of this place! It is that amazing that you would want to spend hours aimlessly at this place. Such a lovely place with a peaceful and relaxed ambience. Get recharged in the morning with their best seller The Baker’s Breakfast Wrap (Rp. 85.000,-). Delicioso! 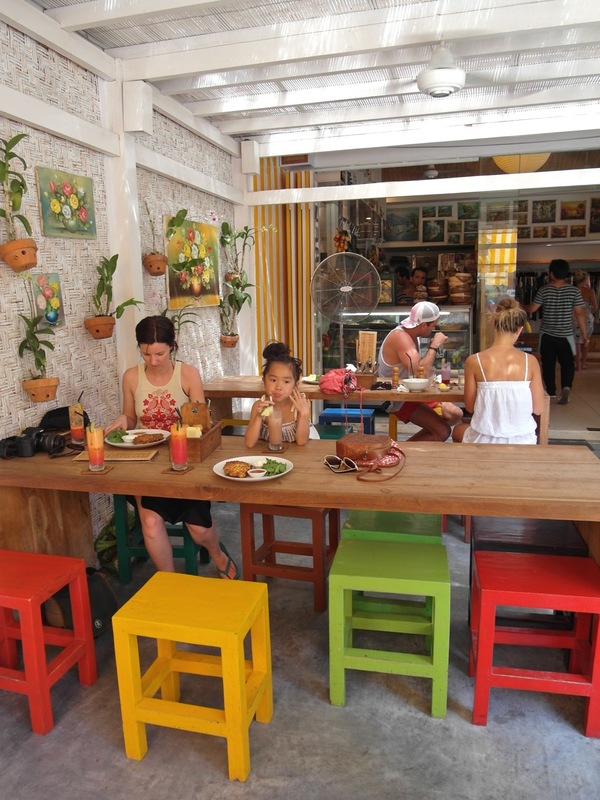 Located at the heart of Seminyak, one of Bali’s most crowded neighborhoods, The Bistrot offers you a brunch experience that is like no other. The design of the place is extraordinarily state-of-the-art. With a high ceiling, antique ornaments, and wooden furnishings, it makes sense why this place is so happening! This place feels so homey and uniquely decorated. I love how a lot of photo frames are displayed on the red brick wall. My favorite menu at this place has got to be their Habitual’s Brunch (Rp. 75.000,-), which is hash brown topped with spinach, poached eggs, and tasty Hollandaise sauce. YUM! This place is so colorful and attractive. You will fall in love at the first glance with this place! Furthermore, they serve healthier brunch options, made out of fresh and imported ingredients, so if you wanna get that beach body, better start your day with their refreshing, healthy meals! What’s a better way to begin your exciting summer day in Bali than a delicious plate of brunch and an amazing ocean view? Di Mare Restaurant at Karma Kandara will satisfy both your tongue and eye cravings concurrently! Plus, you will get to lose yourself in the sound of peaceful ocean breeze while having your cravings satisfied. The pastel colors make this place so vibrant and cozy! It is always a great idea to wake up early in the morning and refill your energy with the meals that this place has to offer. Don’t forget to try their Grilled Fish Burger with Spinach & Tartare (Rp. 70.000,-). Lovely, lovely space. 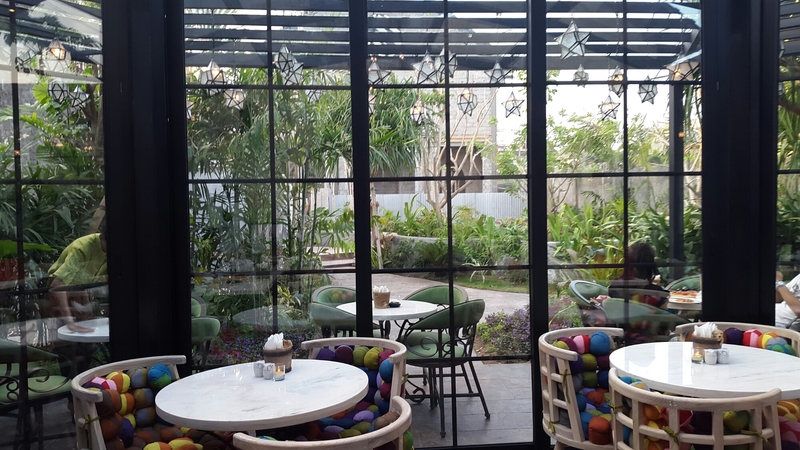 The glass dining room, with a brilliant garden view, gives you a tropical yet modern vibe like no other. I am so mesmerized by the interior! What I love most about this place is that it has a combination of the following three: organic ingredients, all day brunch menu, and a charming petite space! You should try their selection of refreshing juices as well. Absolutely to die for! The design of this place is so inviting. The bamboo roofed structure, combined with a touch of tropical vibe, gives you the ultimate reason why you should certainly drop by this place for brunch! The lovely atmosphere of this place will give you inspiring ideas and an energized mood in the morning. 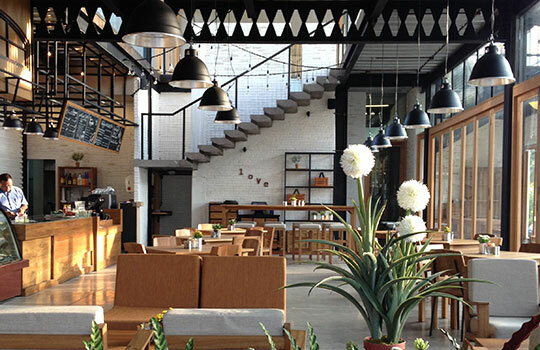 The post 10 Brunch Places You Must Try In Bali appeared first on Qraved Journal.